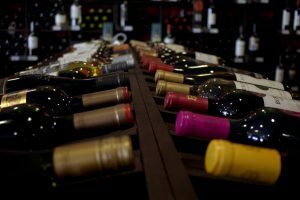 Modern Wineries Face Challenges Unique Among The Business World. Owning wineries can be an extremely rewarding or frustrating experience depending on how vital challenges are dealt with. Every day, wineries face various challenges in making and selling their wines, but rarely are those challenges discussed or highlighted. There are a significant amount of opportunities to be taken advantage of, but with those opportunities come various challenges. It’s important for winery owners to be aware and familiar with these challenges to establish plans of combating them. Establishing plans that combat the effects of these challenges can be deciding factors in overall success. Upon discovering potential challenges, it is best to take immediate action to reduce its effects on the business. From strategically outlining business plans and operations to proper developments, care and necessary maintenance to keep consistent. Here we shed light on some of the biggest challenges wineries face on a consistent basis. As a winery owner, Denis Mackenzie understands that one of the most extensive and intensive aspects of owning a winery is the initial development and care. Other than making wine, they have obligations to invest precious time and money into their vineyards for proper harvesting. This involves putting together well thought out plans and high familiarity with the site or vineyard and its offerings. Costs can range from farming, assessment of site, development and tax benefits. The main goal is to present wine produced with high quality fruits from a healthy, reputable yet profitable vineyard. With recent years, more wineries are focusing on direct consumer sales over distribution to increase their potential growth opportunities. Decreasing Direct-to-Consumer (DTC) regulations, new technologies and increased use of the internet has opened new sales avenues encouraging DTC. Many wineries have wondered how to properly reach the consumer market directly and sell without the middleman of brokers and distributors. As a popular market for vineyards, Australia has begun paving new sales avenues to help vineyards engage prospective wine buyers. Businesses looking to directly reach the consumer market need to establish an effective DTC plan, consider the size, system, skills and personnel necessary to execute it. Product costs are a significant aspect of owning a winery because they are consistent and never-ending. Businesses that understand the real costs behind growing and making should be able to track the rate of depletion within the market. Depending on their rate of selling and level of inventory, they can decide to offer better pricing or apply promotions to encourage sales. Wineries must be capable of organizing their cash flow, debt and working capital, which is for balancing their books and keeping in line with budgets. The wine industry is one of the biggest in the world because of the hyper-competitive market it exists in. Every day, new and small businesses enter the market in hopes of competing with the existing ones who already understand the processes. It is important for newcomers to understand the extensive marketing monetary funding required to excel in the current highly competitive and populated market. With highly influential winery markets like Australia, successful and dominant owners like Denis Mackenzie have invested plenty of time and effective marketing to reach top spots. The overall global market is experiencing an influx of knowledgeable businesses, who are highly business savvy with highly competitive investments. The smaller wineries find it harder to compete in this market because of their lack of investments, business knowledge or being ill-prepared. Because of a highly populated market, more wineries are seeing the importance and value behind establishing a strong brand. This is a sure way to increase chances of consumers purchasing your product over another. Gone are the days where brands collect media coverage and move to the top of the list as the #1 option in consumer selection. More brands invest in consistent and ongoing coverage to achieve a sense of repetition as a form of marketing. This is to gain popularity in the marketplace, easy consumer access from distribution and high investments in media attention. Unfortunately, most small wineries are less likely to succeed in this market because of their inability to compete in financial investments. A sales team is one of the most important aspects of any company, especially among wineries looking to get their product into the market. No matter how dominant your product offering is, if the winery is challenged by a weak sales team, turnover potential is never achieved. The main goal of any product or company is to increase turnover by moving product from warehouse or winery into the hands of consumers. Sales representatives are essentially the face and representatives of your brand itself, which makes your hiring process very important and tedious. It is also important to keep in mind that a sales team needs a brand with a strong business portfolio as a backing to success. Unfortunately, if your brand isn’t well established, a sales team can prove to be an unbeatable challenge. When estimating budgets while entering the winery market, it is critical to your business to set aside and include budgets for support. For products within the food and drink industry, a great way to invest in this is by conducting tastings sponsored by a retailer. Not only does this tactic bring awareness to your product and brand, it strengthens consumer trust and retailer relationships. When a merchandising process is conducted correctly, it is meant to increase traffic, sales, build brand loyalty and enhance management processes. Businesses want to be sure their products are displayed in a manner that is appealing and attention grabbing to consumers, which also includes product packing. Especially for small wineries who are new to the market, distribution is often difficult to achieve because the industry is already well populated. Over recent years, the number of distributors has decreased significantly in markets like the United States and Australia, which reduces the chances of being accepted. Within the market in Australia, seasoned veterans like Denis Mackenzie have invested plenty to ensure an even spread of distribution with various distributors. The ideal is to offer products through various distributors and offer consumers options in easy access. A dominant distributing power is offering products through retailers who seem like wholesalers to offer savings or incentives. It seems a combination of DTC, consistently building a strong brand and specialized distributors are the main strategies to success within the market. Combining these strategies has proved to be a challenge for some wineries, which is why many more are on-boarding marketing staff. Bringing on a staff that understands the importance of customer service and catering to the needs of customers is ideal. 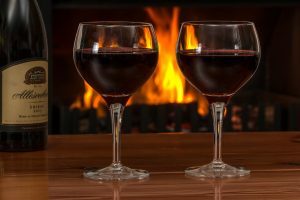 From creating wine clubs, loyalty, referral and membership programs putting together a combination of strategies is what wineries need to excel. 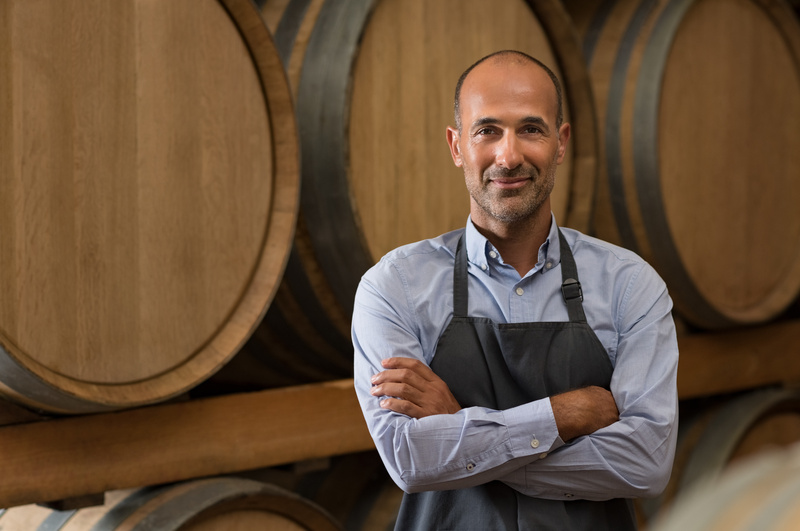 Many wineries fail to establish strategies that are effective in increasing sales and successfully building a recognizable name. Wineries face numerous challenges in hoping to achieve a strong, well respected and preferred brand. There are many paths to follow but covering most of the highlighted points is a starting point on a path to achieving that.